Alongside clothing and footwear, we really cannot get enough of jewellery! We believe jewellery to be a vital part of any outfit, whether this is casual or fancy. The great thing about the jewellery we have on offer here at IKRUSH is that there is something for any occasion. We are obsessed with our delicate velvet chokers, perfect for everyday wear. On the other hand, we have so many beautiful styles of statement tassel earrings that are so perfect with a little black dress to make the outfit have a pop of colour! Necklaces, earrings and even watches, we have all kinds of jewellery readily available and of course, on trend every season! We love how adding some jewellery to an outfit can really make a difference and you can really show off your personal style by layering up some bangles, adding some statement earrings or being very simple with a thin delicate necklace. 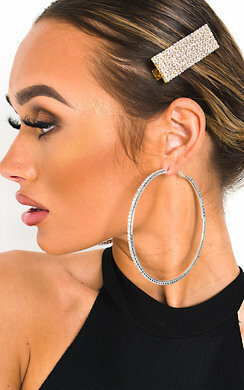 Head over to our clothing category, choose your new outfit and then go wild and pick all the beaut jewellery to go with it! Treat yourself girl, you deserve it!